Corporal Ronil Singh was shot and killed while conducting a vehicle stop at the intersection of Merced Street and Eucalyptus Avenue shortly before 1:00 am. Approximately three minutes after initiating the stop he radioed dispatch that shots had been fired. Responding officers found Corporal Singh at the scene suffering from multiple gunshot wounds. He was transported to a local hospital where he succumbed to his wounds. 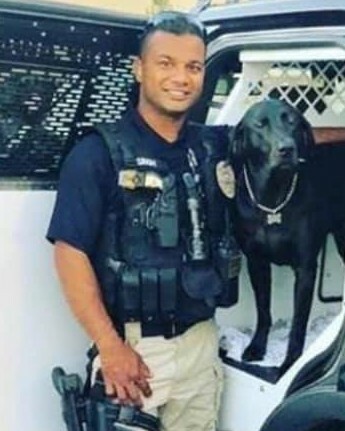 The subject he stopped, an illegal immigrant with a gang affiliation, fled the scene. He was arrested in Bakersfield, California two days later while attempting to flee back to Mexico. Corporal Singh had served with the Newman Police Department for seven years. He had previously served with the Merced County Sheriff’s Office and the Turlock Police Department.